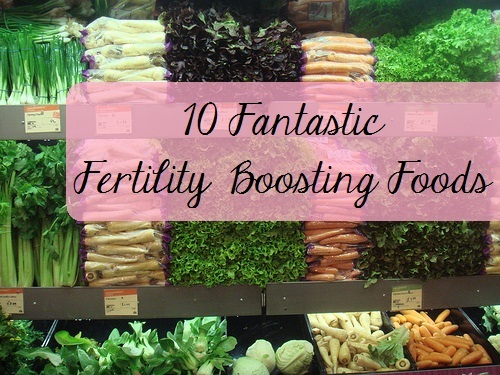 There are numerous natural ways to boost your fertility. Check that you are implementing them before resorting to non-natural methods like medication or worse, giving up on your desire to have a baby. Switch to a fertility diet. Studies have shown that a change in diet that favors healthy reproductive system can significantly lower the risk of infertility. In one of these studies, an 80% reduction in infertility was noted with a change in lifestyle including a switch to fertility diet. This lifestyle change and dietary adjustment resulted in a reduction in ovulation disorders for women and better sperm health for men. The fertility diets included whole grains, vegetables and fresh fruits and low red meat consumption. Take enough vitamins and minerals. Since even a good diet does not always provide sufficient nutrients your body needs, multivitamins from whole foods should be taken regularly by both the man and woman. The body is able to easily assimilate the nutrients present in whole food multivitamins. Vitamin C is known to help in hormonal development and increase women fertility. Zinc is important in male sperm cell formation and quality. Magnesium helps prevent menstrual cramps. Vitamin E, an antioxidant, protects the sperm and egg DNA integrity. Deficiency in iron, B6 and B12 especially associated with anemia can lead to the stoppage of ovulation. Taking multivitamins improves the chances of pregnancy. Raw organic dairy products such as yogurt, cheese and butter are good sources of whole fat. Omega 3, 6 and 9 are essential for pregnancy and fertility. Cod liver oil and flax oil are good sources of omega 3 fatty acids. Borage oil and evening primrose oils are great sources of omega 6, while omega 9 can be sourced from nuts and fresh seeds, sunflower and avocado oils. Drink a fertility smoothie regularly. Drinking fertility smoothie packed with superfoods is one of the easiest and most enjoyable things you can do to enhance fertility. Spirulina, an excellent source of quality protein and royal jelly, which is rich in proteins, vitamins, amino acids, lipids, iron and calcium, may be added to your smoothies to sustain a healthy pregnancy. Do fertility cleansing. Fertility cleansing using some herbs is recommended for both partners to cleanse the body of toxins and excess hormones. This process will help restore hormonal balance and result in a strong reproductive system. Drink herbal tea. Drinking three cups of herbal tea daily and using herbal preparations can maintain health and boost fertility. Employ massage techniques. These massage techniques help promote circulation especially to the reproductive organs, promote hormonal balance and strengthen the uterus. Be aware of your cycle. Charting your ovulation period will let you know when the best time to try to conceive is, giving you the greatest chances for pregnancy. Reduce stress. A body which is constantly stressed out can actually cause a shutdown in reproductive function and can have more damaging effects to your overall health. A self-managed plan using natural methods can greatly help in boosting fertility. Implementing simple changes in your lifestyle can help you overcome infertility and achieve your goal of conceiving and having a baby, eventually. Exercise and Pregnancy: What are the Best Exercises for the Pregnant?